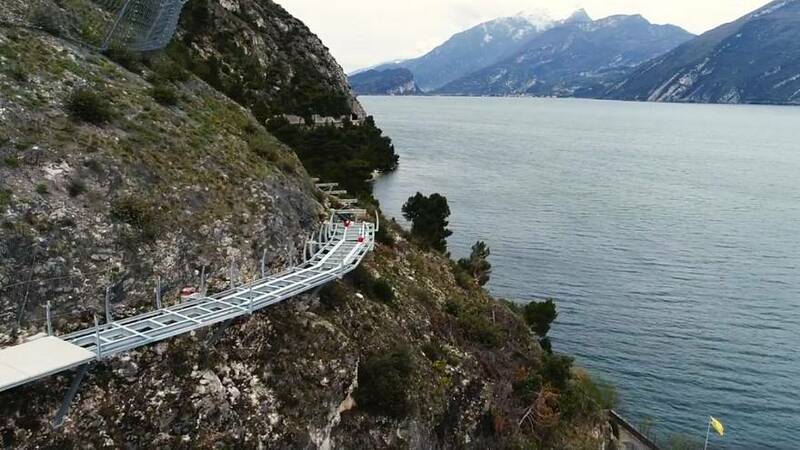 A new "floating" bike path will offer the chance to cycle around Italy's Lake Garda. With unrivalled panoramic views, the path will be 140 km long and cross three regions (Trentino, Lombardia and Veneto). The route is built into cliffs surrounding Italy's largest lake and in some places even skims the surface of the water. The path's creators want to give cyclists the sensation of flying over the lake. It is also hoped the track will boost the country's growing bike tourism industry and take visitors to lesser-known villages around the lake. While the path has been built to suit cyclists of all levels, some tougher areas with a lot of inclines can be avoided by taking a boat on the lake. The path is expected to be fully finished by 2021.